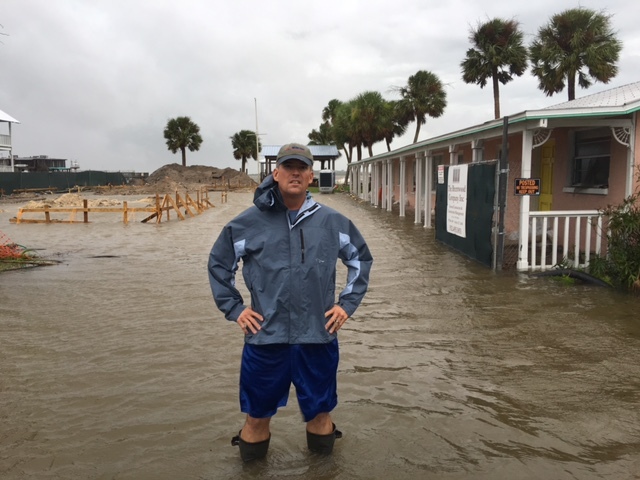 I type this tonight from Cedar Key, Florida during 60-mph winds and pouring rain from Hurricane Hermine. 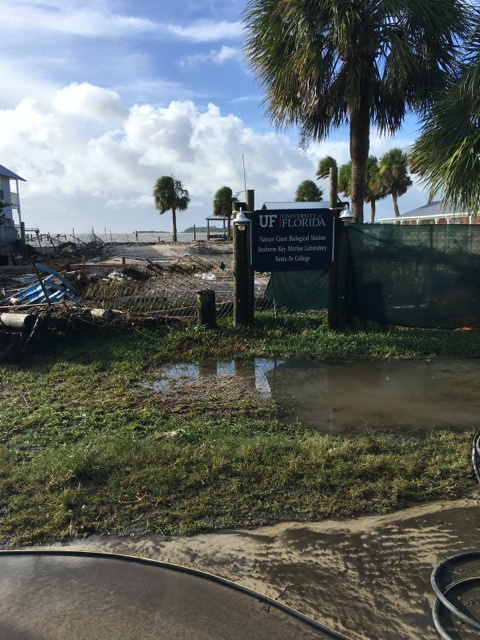 The University of Florida (UF) has construction underway on the new UF/IFAS Nature Coast Biological Station. 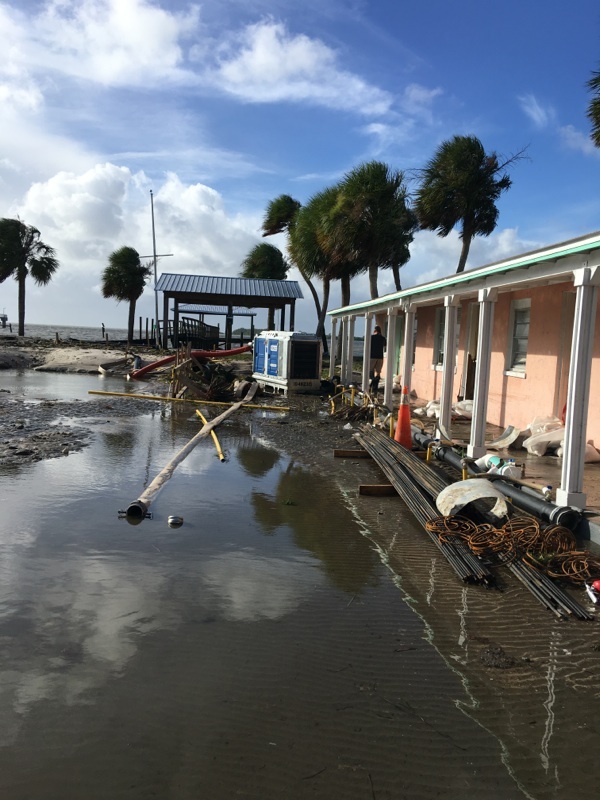 This Station is part of UF’s Institute of Food and Agricultural Sciences (IFAS), and it will seek to improve the conservation and management of natural resources such as oyster reefs, fisheries, wildlife, and a vibrant clam aquaculture industry. The Nature Coast of Florida is one of the least developed coastlines in North America, and it includes the Suwannee River: the largest free flowing river in the southeastern USA. 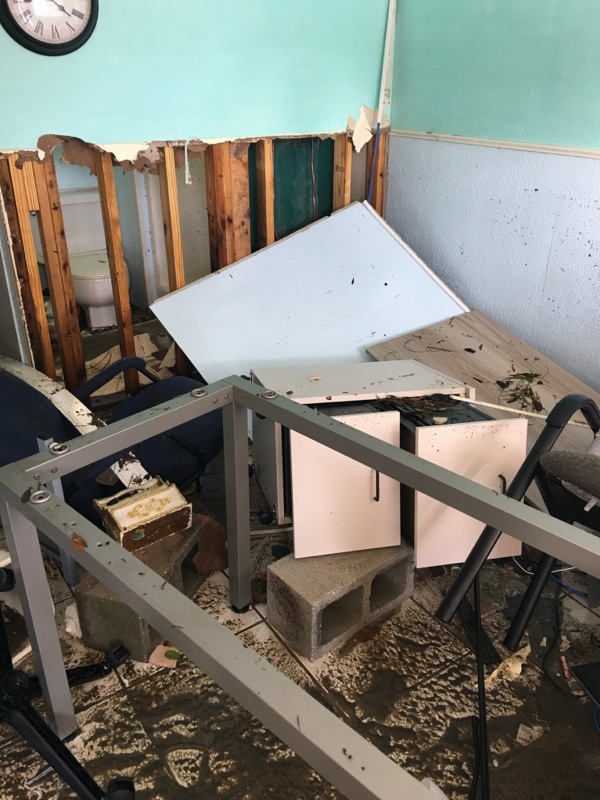 We are building the station on the waterfront in the Historic District of Cedar Key, and unfortunately, the future elevator shaft currently has about 8 feet of water in it and rising fast. Additionally, the previous hotel rooms that will ultimately serve as dorms for visiting students have water coming in through the doors. This storm developed quickly, and I was amazed at the power as waves rolled through parts of downtown Cedar Key. 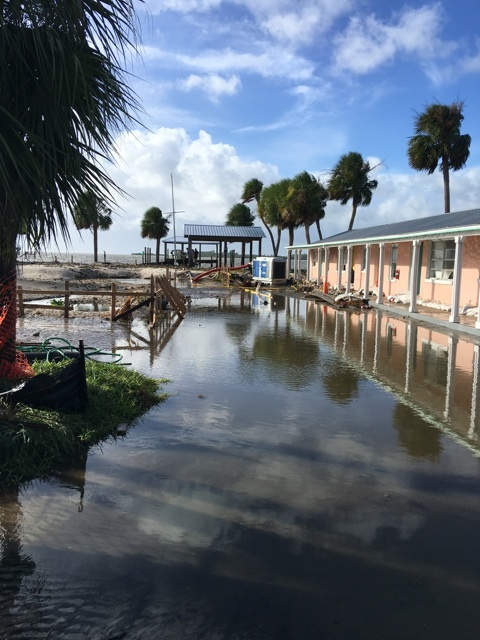 Implications of sea level rise are readily apparent as we stood in knee-deep water today trying to protect the site from flood and wind damage. 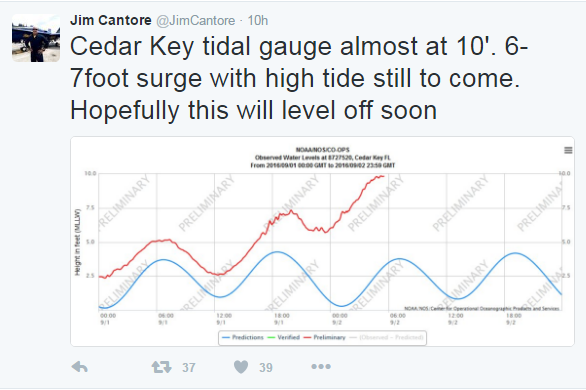 High tide is at 3 AM tonight, and reports suggest we could have a 9-foot tidal surge. That’s big in a community that’s built right on the Gulf. 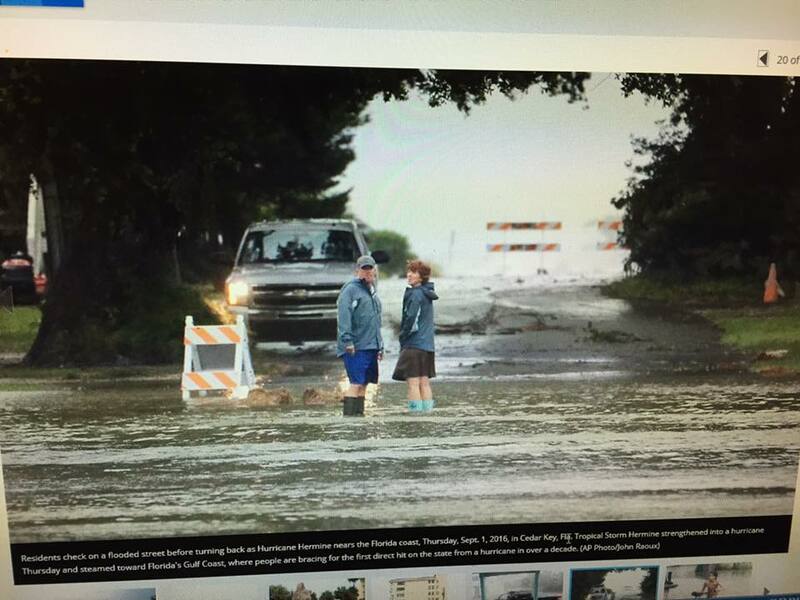 News crews were abundant, and there was plenty of flooding for them to see. When Jim Cantore is talking about your town, you know the weather is bad. 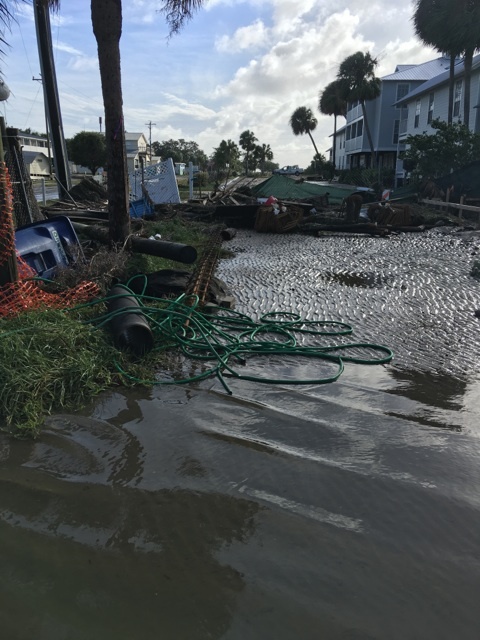 After this storm has passed, we will clean up, and continue construction on a facility that will ultimately be raised off the ground 19 feet and be able to weather these storms, which will surely come again. Our hope is that the work we do here will ultimately make the natural resources better for the local communities that depend on excellent water quality, fish, and wildlife for their livelihoods. Check out our mission and construction via webcam at the following link. 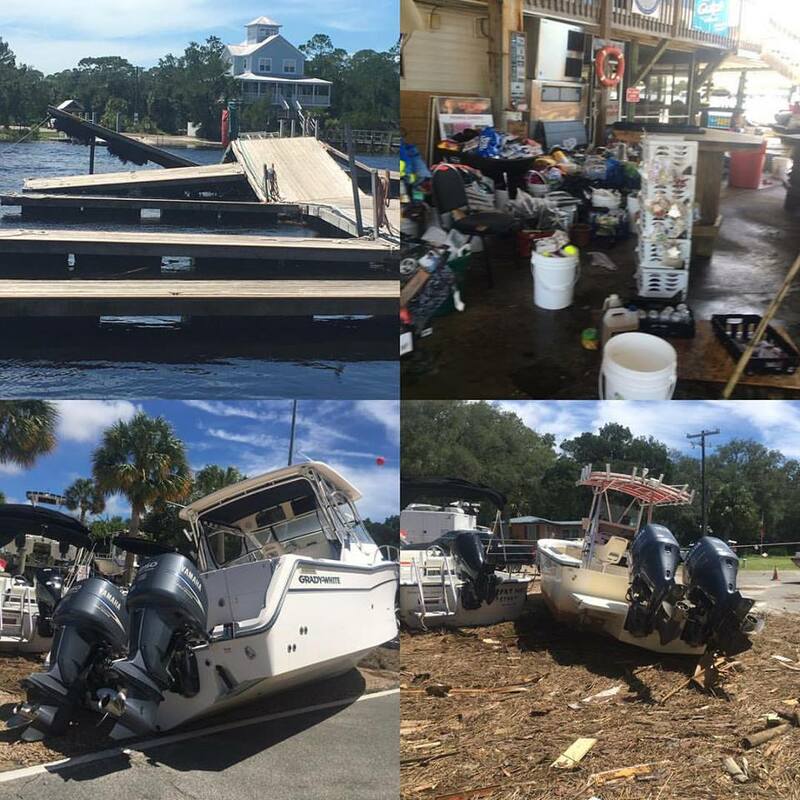 We appreciate your support of the UF/IFAS Nature Coast Biological Station, especially during a hurricane! 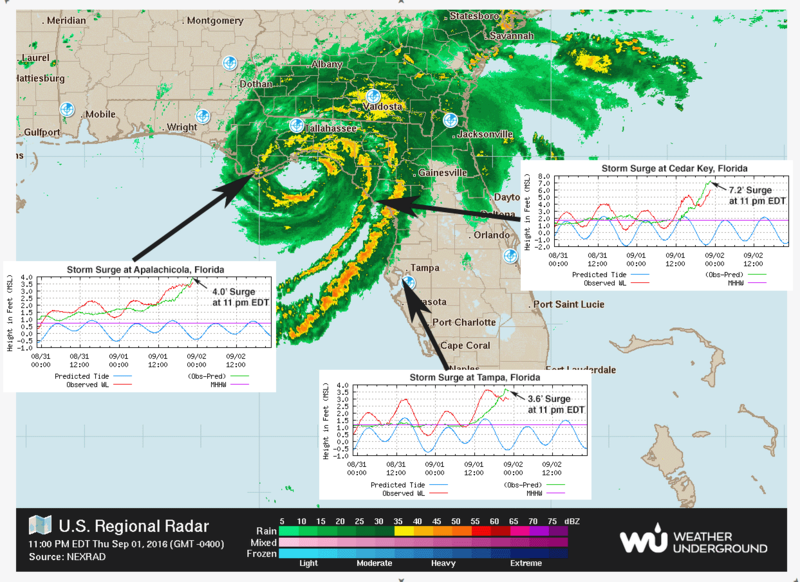 Please know that we will be safe, and that we will continue to keep people posted on how they can help us as we recover and build for the future. 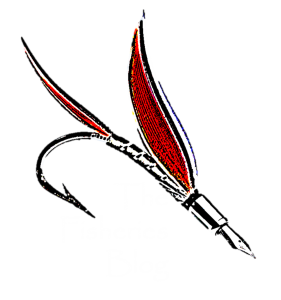 Previous Post Why be a #SocialFish? So sorry Mike. I hope your’s and Mendy’s home came through in good shape.